We all love to sit by the fire in a friendly and cheerful company mourning, thinking and talking. And portable gas fireplaces were designed that can be used at your cottage, and you have it at home, even putting it in the room, or at the balcony, if not even moving it to the roof and having a wonderful picnic. Except that this fireplace will give you warmth and comfort, it is also absolutely safe, as it works on the cylinder of liquefied gas. Its only negative quality is that it cannot be used as a barbecue. We advise it not to fans of eating outside, but those who like to chat near an open flame. Outdoor gas fireplaces provide heat and will give you everything that everyone expects from the wood-burning fireplaces. Advantages of gas fireplaces, besides the fact that you do not need wood, include the fact that they are much easier to use, including instant starting-up. You do not need to worry about smoke and soot, which are formed in the wood-burning fireplaces. You can completely forget about cleaning the ashes. There are many companies producing outdoor gas fireplaces, and each will offer you different design options. It is best when choosing a fireplace you visit sites of different producers. Even better is to visit shops and talk with sales assistants. They surely will help you to find the right model for you. Some outdoor gas fireplaces can look like a conventional oven for a barbecue. Their upper part can be removed, and you can put a barbecue there and cook on it. That gives you the double benefit if you decide to buy the outdoor gas fireplace of this type. Many fireplaces of this kind are made from stainless steel, making them durable and so damn attractive! Other types of outdoor gas fireplaces look exactly like real fireplaces in the traditional sense of this word. They require a facing, which you can buy from the manufacturer of the fireplace. There you can also buy the mantelpiece. Manufacturers of fireplaces care about such nuances too. Such outdoor gas fireplaces look like their conventional counterparts indoors, so you can provide the home comfort in your garden. Fireplace facing can be different: brick, stone, granite, marble. You can connect your fireplace to the gas cylinder, or if you need a more permanent solution – to the gas-main. You can also choose a portative gas fireplace, and place it in any convenient place of the garden. Outdoor gas fireplaces are powered by natural gas, propane, the most advanced are bioethanol and many other types of gas. It all depends on the specific model. 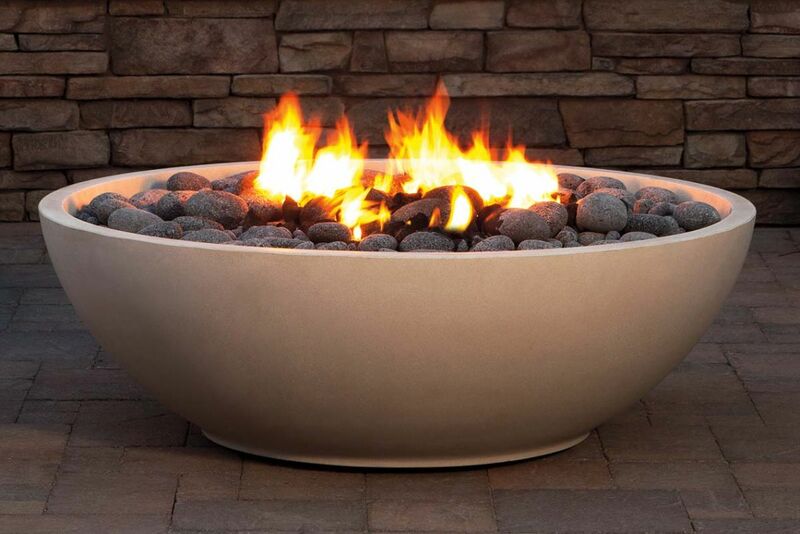 Dimensions of outdoor gas fireplaces can also vary extremely: from bulky monoliths to tiny furnaces. 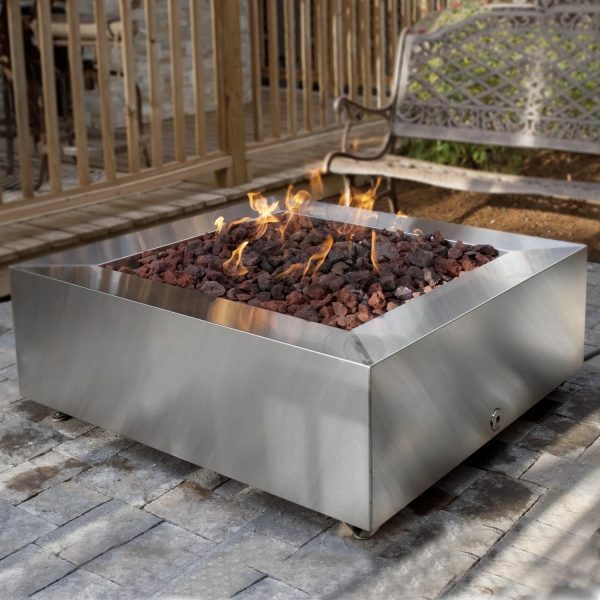 Outdoor gas fireplace is a convenient and stylish accessory. Its attractive addition to any garden can be a unique feature of your home.